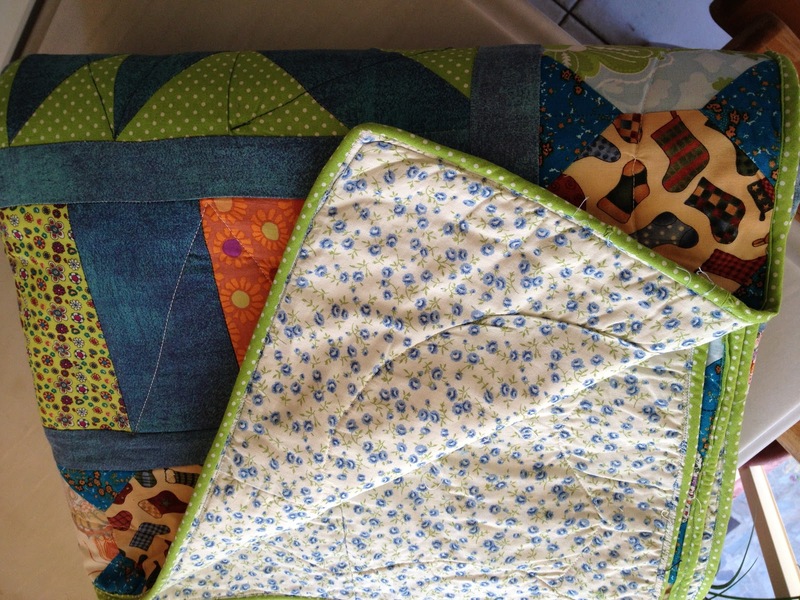 This quilt is the first thing I ever make during patchwork lessons that is why I love it very much. Everything started when our teacher, whom I mentioned in my very first post, brought us a photocopy with 9-patch pieces (they are called like this because each piece is made by 9 smaller pieces). I made them all in order to practice (you can see them in the central part of the quilt). Then I thought I would like to make sth with them. 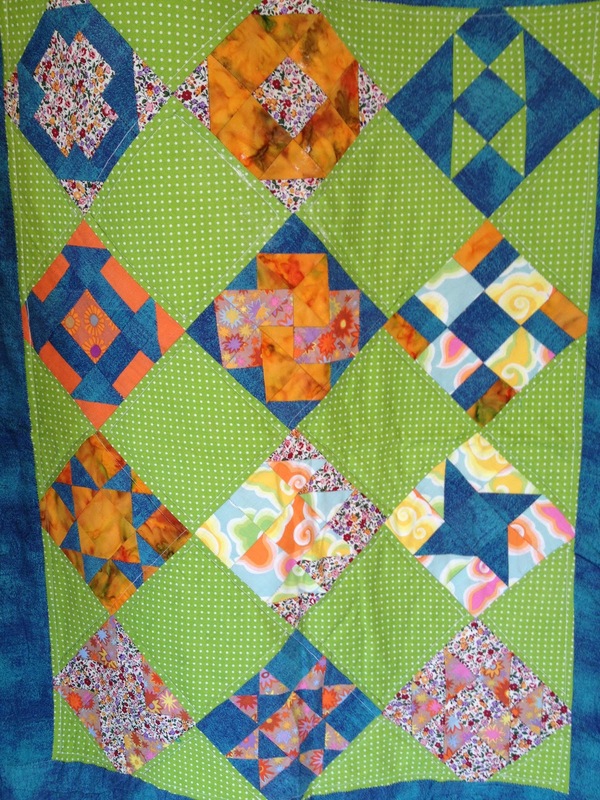 And this is the way I started this quilt. in each lesson I added sth until I got the desired size. And there it is! 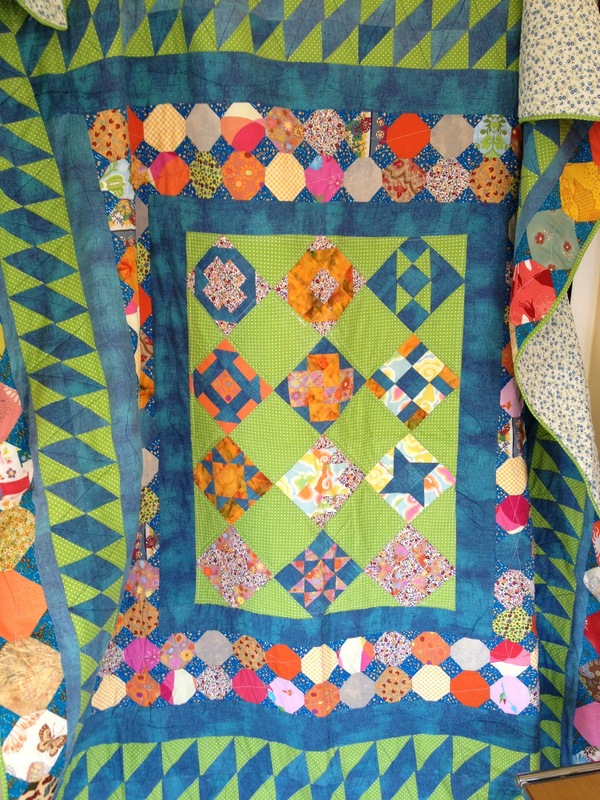 Various fabrics of cotton, old and new, some of Kaffe Fassett, who is well known among others as textile designer, for his bold colors and vibrant design. All fabrics used and the batting are 100% cotton and machine washable. Very lightweight quilt appropriate for light chilly.